Reedyville Goods "If You Are Grouchy, Irritable, Or Just Plain Mean - There Will Be A $10 Charge For Putting Up With You" Tin Metal Sign RR129 - California Car Cover Co. 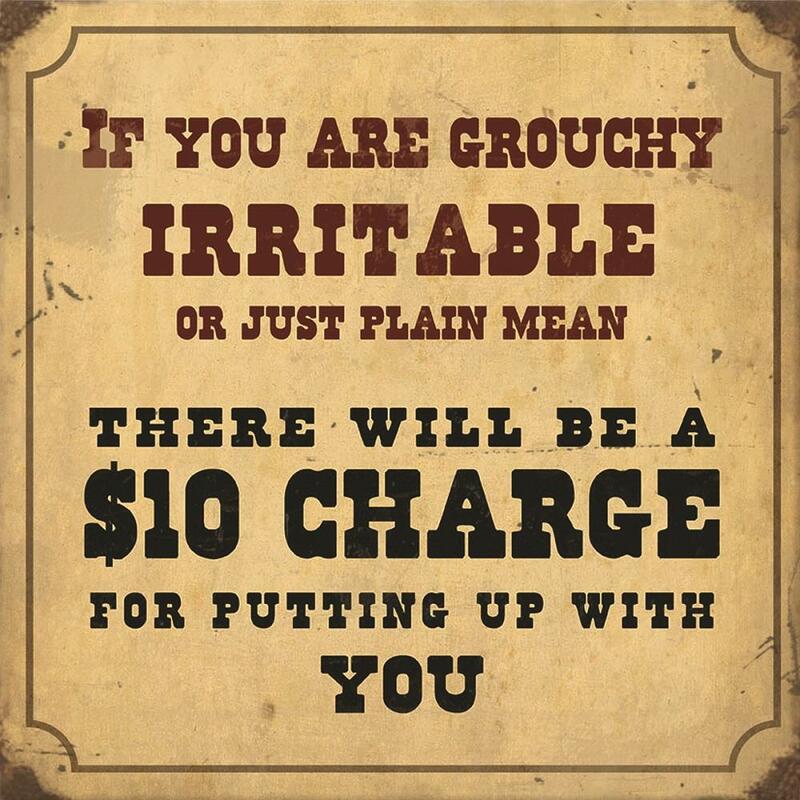 The Reedyville Goods "If You Are Grouchy, Irritable, Or Just Plain Mean - There Will Be A $10 Charge For Putting Up With You" Tin Metal Sign RR129 measures 12 inches x 12 inches and includes holes for easy wall hanging. Proudly made in the USA.